Luxurious villa well furnished. Great views over the country side, the sea and over the islands of Sa Conejera, Bledas, S'Esparta and S'Illa den Bosc. 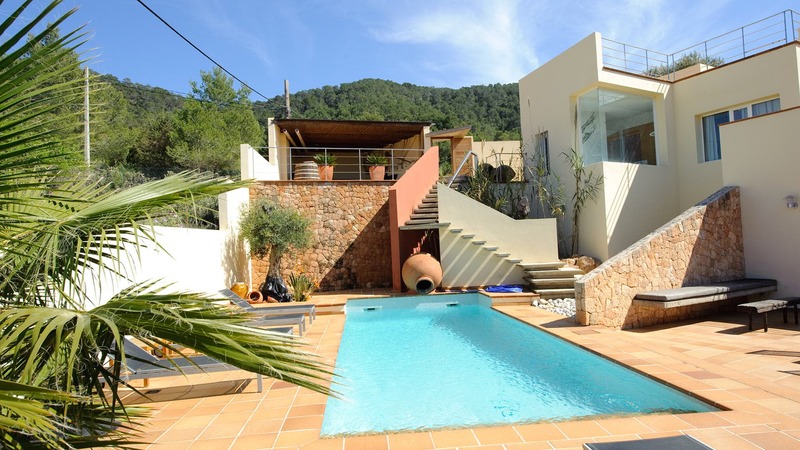 Nice and modern villa, situated in the high zone of Cala Tarida and Cala Moli, at 4 Km from the village of San Jose. Room, 1st floor, direct access to the terrace. This bedroom has 1 double bed. Bathroom outside the room, shared. Room, 1st floor, direct access to the terrace, view of the sea. This bedroom has 1 double bed. Bathroom ensuite. separate WC room. This bedroom includes also fireplace, safe, dressing room. Access to the main terrace with barbecue. Living, dining room with central fire place, TV plasma, international satellite, Hi-Fi and direct access to the main terrace near the pool and the chill out. 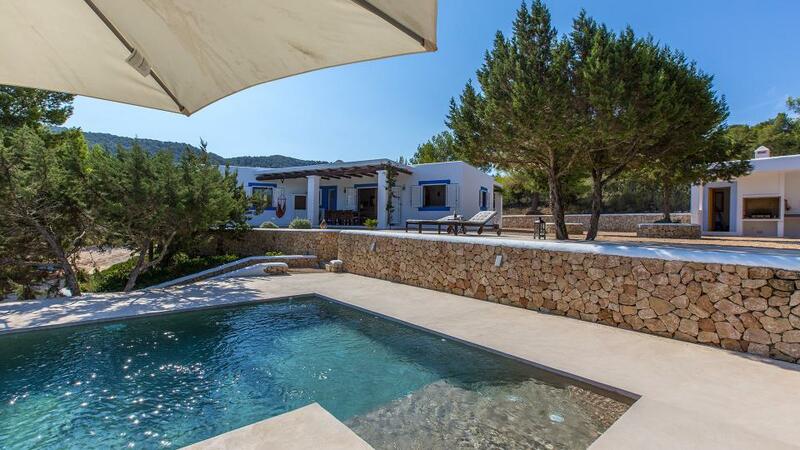 Private pool of 10 x 4 m.
With access trough an exterior stair and also from the poolthe main entrance to a large terrace porch with chill out. At 5 min. 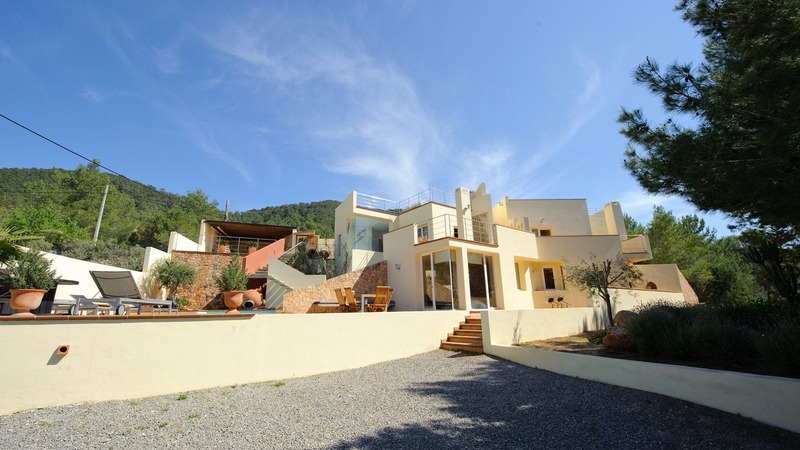 by car from the beaches of Cala Tarida and Cala Moli and at 10 min. to Cala Conta and Cala Vadella. The other beaches of the West coast are within a radius of 15 Km. Ibiza town and the airport at 20 Km.